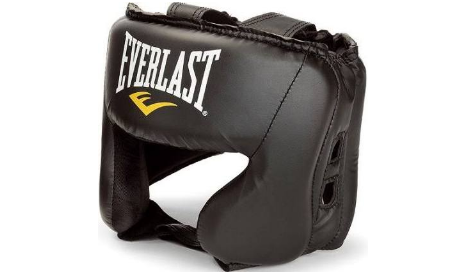 A protective gear that is going to be examined in this article is the Everlast EverFresh Boxing Headgear. 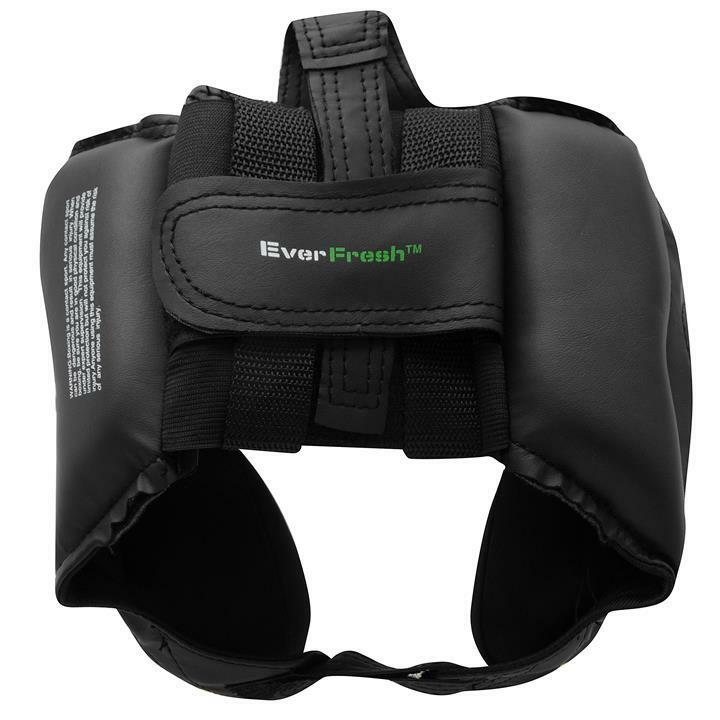 EverFresh is Everlast’s level II tier headgear that uses cheek protectors. It is important to note that the EverFresh is not certified by USA Boxing and therefore not allowed to be used in regulated amateur boxing competitions. Its purpose is to simply provide protection during sparring sessions at your local gym. Color Options: I have found this EverFresh model available only in black. Material: Synthetic leather is used as the exterior portion of the headgear. This Everfresh uses a unique fabric lining for its interior portion. The product description states that the Everfresh model goes through an antimicrobial treatment process that helps prevent odors. 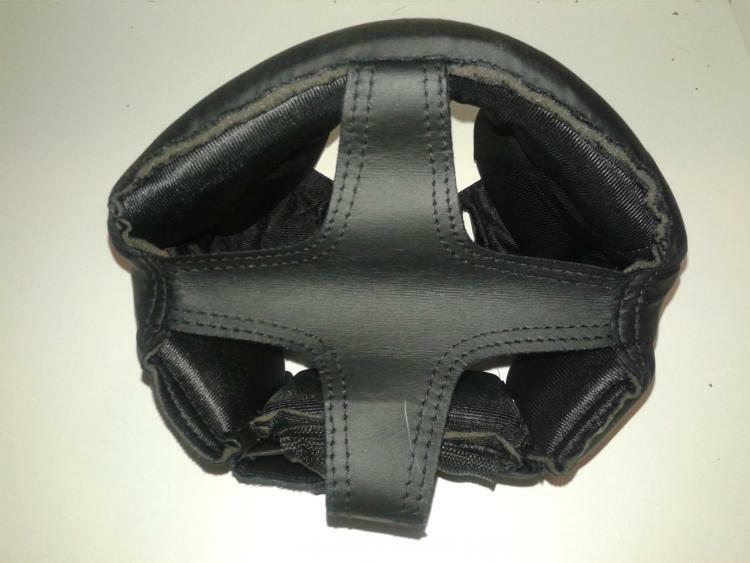 Headgear Padding: Single layer of hard foam padding. Cheek Protectors: Unlike open face boxing headgears, the EverFresh incorporates cheek protectors into its design. Chin Strap: The chin strap consists of a single piece of Velcro for tightening and securing the headgear. Headgear Top: The top of the headgear is composed of a thin synthetic leather, which is visible in the image below. Back of Headgear: Straps on the back of the headgear are adjustable. 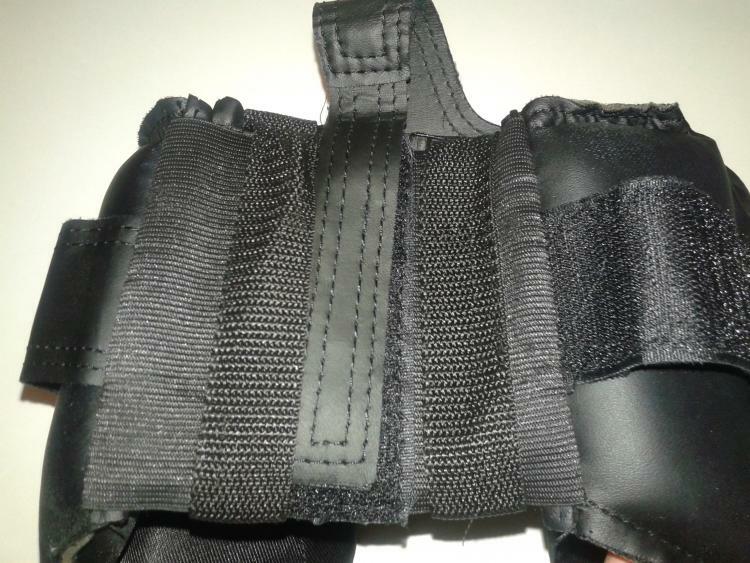 An additional layer of padding with the same thickness as the rest of the headgear is also present to protect against shots to the back of the head. 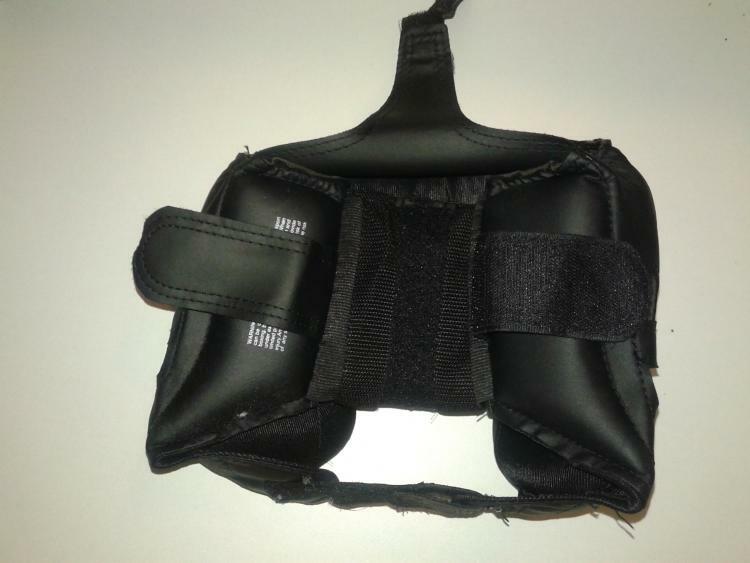 The following images display how Velcro straps are used to adjust the EverFresh to the user’s head size. This image has all the Velcro straps taken apart. First, you must attach the headgear’s top strap to the Velcro present on the back of the padding. Afterwards, you connect the horizontal straps together. I found the headgear to be quite stiff and does not contour around the shape of my head as well as other ones I have used. The utilization of Velcro allows the EverFresh to be quickly put on and taken off. Plus, you not have to deal with the hassle of laces. Of course, headgears with laces will provide a tighter fit. The chin strap and the adjustable straps behind the head is supposed to make the EverFresh be a one size fit all. However, some individuals with larger head sizes have found it to be tighter than they like, which is not a problem I have encountered. Once you have adjusted the back of the headgear to your ideal size, you will only need to tighten the chin strap and secure its Velcro parts together. The chin strap material is thin and has no padding. I do noticed that the chin strap is quite short. This may be a problem with individuals that have a big head and/or wide face. These individuals may be able to get just enough portion of the Velcro to stick together, but infighting scenarios or a solid hit has a high chance of undoing the chin strap. EverFresh is made out of synthetic leather, which is not as durable as leather. I do not consider this headgear to have high quality construction. An example of this is how the trims on the top and bottom portion of my EverFresh shows exposed foam. One of the biggest question mark about the EverFresh’s long-term durability is its chin strap. The chin strap looks flimsy. However, the Velcro part of the chin strap is still sticky. 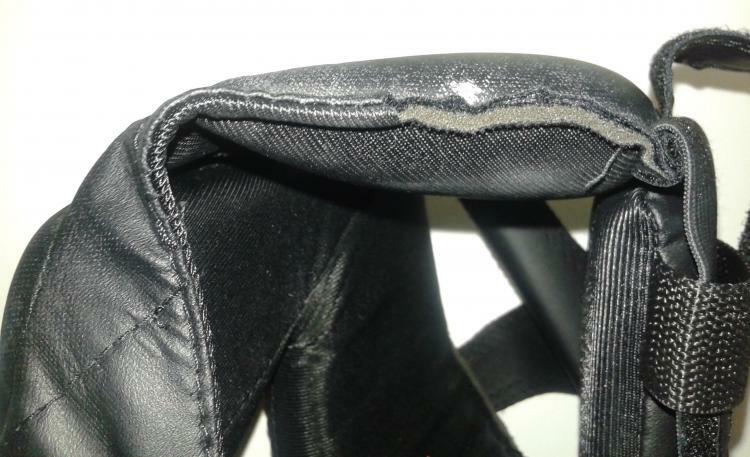 The only sign of wear on the chin straps are some loose threads on the Velcro side. I have used the EverFresh headgear for only boxing sparring. Due to the quality of the padding, I would not recommend using this headgear for any hard sparring sessions. Headgears can vary in padding density and layers. EverFresh is composed of a single hard density padding that is not great for cushioning impacts, but it is effective in protecting me from bruises and cuts. For the most part, my ability to see punches coming from my peripheral vision while wearing this headgear is decent. It would be better if the corner of the eye slot is wider half to a full inch on both sides. I do not like how the EverFresh cheek protectors’ padding points outward instead of wrapping around my cheeks. It is also located relatively higher than I prefer. These cheek protectors will partially impair your vision and make it harder to see uppercuts. Additionally, I have found that the EverFresh’s padding that runs across the forehead does slightly block some of my vision when I keep my chin down and eyes up. EverFresh is a beginner level headgear that can be found in various local sporting goods stores, as well as online. 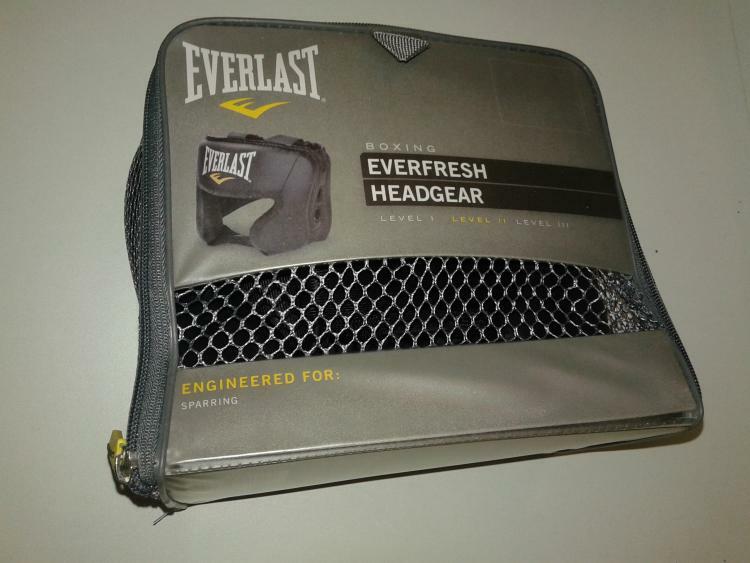 The purchase of this Everlast headgear will come with a free carrying bag consisting of a mesh netting for maximum airflow and circulation. I consider it a basic and budget friendly option for individuals trying to get their feet wet in sparring. Otherwise, any boxers that plan to compete in amateur boxing competitions should invest in a higher quality headgear that is also approved by USA Boxing.